Home » Bollywood News » Sultan - Raees clash averted: Will the Shah Rukh Khan film now release on Diwali? 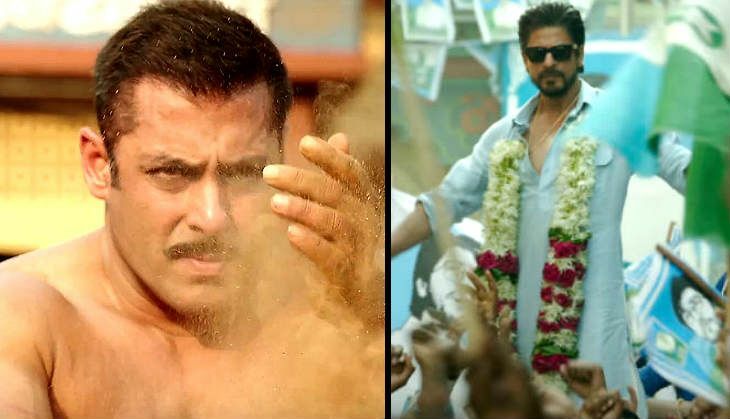 The Box Office clash between Salman Khan's Sultan and Shah Rukh Khan's Raees has a major talking point of Bollywood aficionados for months now. According to the latest reports, the films will no longer clash at the Box Office this Eid as scheduled as Shah Rukh and team have decided to postpone the release date of Raees. The actor, who recently wrapped up the shooting for Raees in Mumbai, said that it was impractical to have two major films clash at the Box Office. After considering various options, Excel Entertainment and Shah Rukh Khan are reportedly of the opinion that their film should hit the big screen this Diwali. With two more films slated to release this Diwali - namely Shivaay and Ae Dil Hai Mushkil -Shah Rukh is already in talks with Karan Johar to push the release date of Ae Dil Hai Mushkil to make way for Raees. And the director, who is a close friend of Shah Rukh, has reportedly agreed to do so. However, Shah Rukh will face massive competition from Ajay Devgn's big budget, dream project, Shivaay. Catch tried to contact producer Ritesh Sidhwani of Excel Entertainment, but failed to get a confirmation.